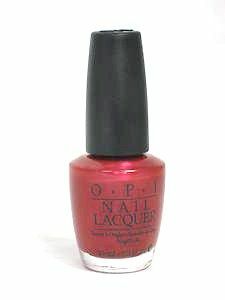 OPI Nail Polish, Soho Nice To Meet You, NLN24, .50 fl. oz. Deep pink-toned red shimmer nail color with cherry undertones.